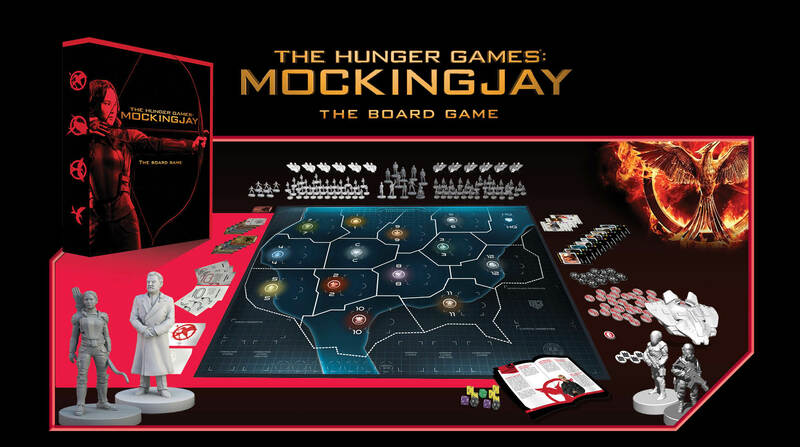 The Hunger Games: Mockingjay® – The Board Game Now Available for Pre-order! If you missed out on our crowdfunding campaign for The Hunger Games: Mockingjay® – The Board Game you can now pre-order your own copy. The Hunger Games: Mockingjay – The Board Game a strategic tabletop game where Panem hangs in the balance as the Resistance tries to overthrow the oppressive Capitol! At first glance, the Capitol seems to have the upper hand with larger resources and the support of most of the districts. As the resistance spreads, the Capitol will find that their iron fist can only crush one assault at a time. This forces them to choose the most important targets and make tactical decisions in order to break through to the heart of the resistance, District 13, before the rebellion overwhelms the entirety of Panem.